The Algerian education system is divided into several levels: preparatory, basic (primary, middle), secondary, vocational and higher education. It is also necessary to take into account the continuing education provided by the University of Continuing Education. The Ministry of Education is responsible for the organization and management of the primary, middle and secondary levels, the management of higher education is entrusted to the Ministry of Higher Education and Scientific Research ,and the professional level is entrusted to the Ministry of Education and Vocational Training. The headquarters of Ministry of Education is located in El Mouradia, Algiers. It is headed by the minister of education Nouria Benghabrit Remaoun, since 5 May 2014 till now. The Algerian Constitution guarantees the right to education for all citizens. The school is compulsory from the age of six and free of charge from first year of school to university. Classical Arabic is the compulsory language of instruction in the Algerian schools. French is taught from the third year onwards, it is also the language of instruction for advanced mathematics and science courses. English is taught from the first year at middle school. Students can also learn Spanish, Italian or German at secondary level. The Tamazight language (Berber language) became a national language registered in the Algerian constitution, thus since 2005, it was studied at primary, middle and even at the secondary school. The Algerian Education provides pre-school education for children aged three to six years. It is taught in preparatory schools or in kindergarten classes at primary schools. The main objective of pre-board education is the integration of the child, gradually, into the school environment through attractive and appropriate games to introduce him to the first elements of reading, writing and calculation and to develop his practice of language through communication situations induced by the proposed activities and games. But seen the non-compulsory nature of pre-school education, the State has made a commitment to ensure the development of this education and to continue the generalization gradually. Primary education is for a period of five years. The age of admission to primary school is fixed at six years of age. The purpose of primary school is to help children to master the basics of reading, writing and numeracy. Moreover, its aim is to promote the development of personality in pupils and to create good habits by training them in community life. The end of primary school education is culminated by a final examination leading to the issuance of a certificate of achievement called "Certificate of Primary Education". The middle school is a period of four years. At the end of schooling in the middle school and after a final examination entitled to obtain a diploma called "Certificate of Basic Education", the pupils are automatically admitted to the first general and technological secondary year, according to their wishes. Pupils who are not admitted have the possibility of joining either vocational training or working life if they have reached the age of sixteen years. The aim of fundamental education is to equip students with essential learning to develop their identity in harmony with social, spiritual , ethical values and traditions arising from the common cultural heritage, to embrace the values of citizenship and the demands of life in society , to develop their sensitivity and to sharpen their aesthetic sense; their curiosity; their imagination; their creativity and their critical thinking to understand the living and the world and to learn to observe and solve problems. Secondary education is for a period of three years. It is divided into general secondary education that consists of five specialties: the exact sciences, the sciences of nature and life, humanities and letters, literature and living language, and religious sciences .The technical secondary education includes the following specialties: electronics, electrical engineering, mechanics, public works and construction, chemistry and accounting techniques. General secondary education and technical secondary education vary in the following specialties: mechanical engineering, electrical engineering, management, and economics. The orientation of pupils in the first year of secondary school towards the technical or general specialties of secondary education is done at the end of the year according to their wishes and their results. The end of schooling is marked by the baccalaureate exam .The secondary schools aim at consolidating and deepening the knowledge acquired in the different disciplinary fields, developing methods of analysis; synthesis; reasoning and taking responsibility, having an openness to foreign civilizations and cultures and to accept differences and to coexist peacefully with other peoples and preparing pupils for the pursuit of further studies or higher education. 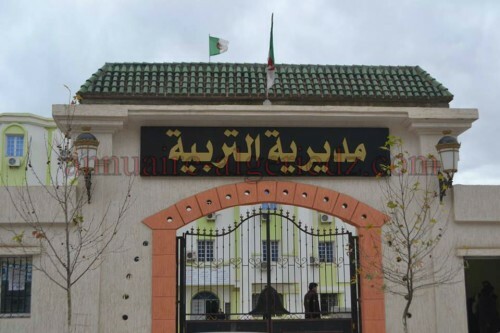 The reform of the education system in Algeria is implemented gradually since 2003 because the school has become an important political issue, in recent years. The reform was as consequence to numerous criticisms of national education on the lack of quality and efficiency .Thus, the reform has been initiated with the aim of increasing the efficiency of the system and responding to the challenges of the modern society. Two major projects were launched: reformed school curricula in the form of skills and textbooks, which was the cornerstone of the generalization of the reform and adapting the competency-based approach that focuses on a pupil (learner-centered) rather than on the teacher during the teaching and learning process. In this approach the pupil is trained to act and build knowledge by himself (to seek information, to organize, to analyze situations, to develop hypotheses, to respond to problem situations and evaluate solutions based on acquired knowledge). It aims at making learning more concrete and operational, geared towards integration into society and into everyday life. I immediately found that utilizing improved instruments would convert into improved craftsmanship. As any carpenter will let you know, new instruments require new aptitudes.